This smartphone is one of the most affordable solutions with an 18: 9 screen and an NFC chip. At the same time, it has a good Qualcomm processor, a dual main camera and a front sensor with a face recognition function. 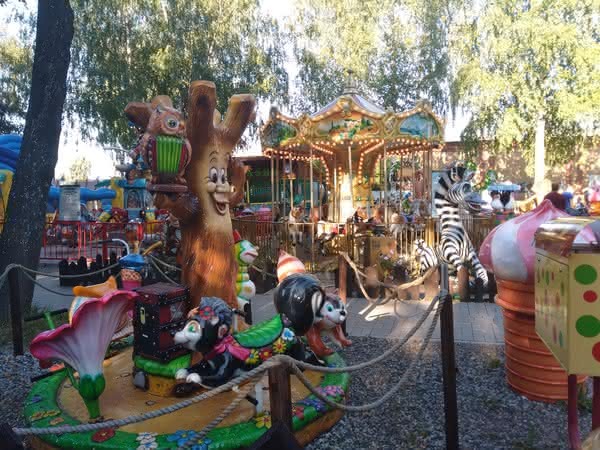 All this “fit” to 10,990 rubles, which inevitably led to compromises. For what exactly – we will tell in this review. 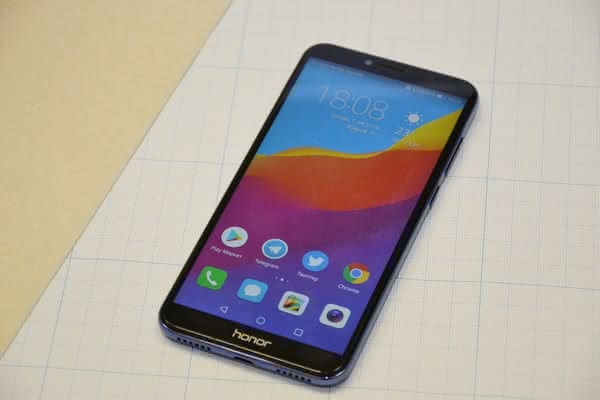 Externally, the Honor 7C is quite an ordinary state employee, which one cannot be confused with the model of the average price range. Even the trend screen of 18: 9 does not allow to doubt that the model is inexpensive and in many ways a compromise. First of all, the plastic back cover speaks about the budget class of the device, smoothly passing to the glossy ends, also made of plastic. 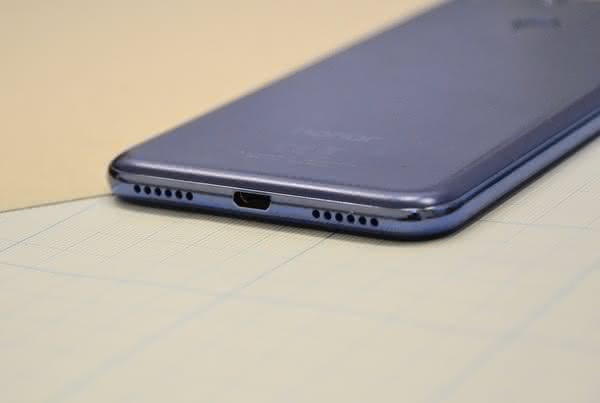 Below – micro USB port, speaker and microphone, and on top – only audio port. An additional microphone is located on the rear panel to the right of the main dual camera. In the same place, a little lower is around fingerprint scanner. There are no complaints about the speed and accuracy of the latter, Huawei has no problems with this for a long time. The entire front surface is covered with glass, which, apparently, is devoid of the oleophobic layer. Divorces, fingerprints and other traces of use are visible as when the screen is off, so when turned on. Nothing can be done about it. Glued out of the box film does not save. Assembled smartphone well. There is really nothing to creak and play here, all the details fit very tightly, even there are no microgaps for dust accumulation. On the whole, even though the smartphone looks modest, it creates the impression of a reliable and good device. The smartphone has a 5.7 ‑ inch display with a resolution of HD +, that is, 1440 × 720 pixels. Matrix – IPS with a density of 282 pixels per inch and the use of GFF. GFF (Glass ‑ to ‑ Film ‑ to ‑ Film full lamination) is the complete lamination of glass from film to film. This technology suggests that the screen module has a sandwich circuit, where the glass itself is sandwiched between two films. 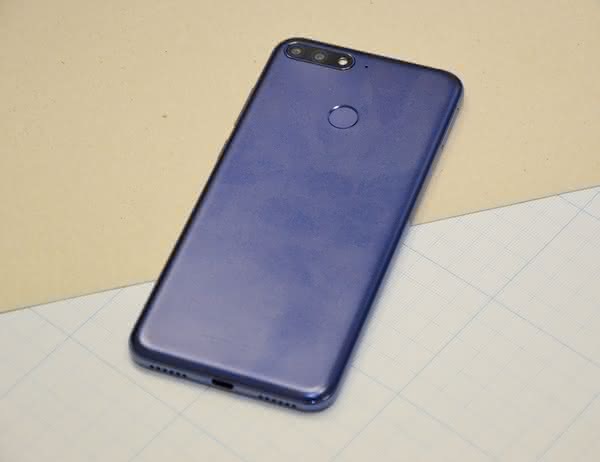 Usually GFF ‑ screens have lower cost, but in terms of color rendering, they are inferior to analogs, and Honor 7C demonstrates this quite well. The color of the picture seems to be very faded, it clearly lacks saturation, and there are problems with the level of contrast. However, if you are accustomed to the most relaxed gamut and do not like excessive brightness, the Honor 7C screen will suit you. It only remains to accept permanent fingerprints on the glass. 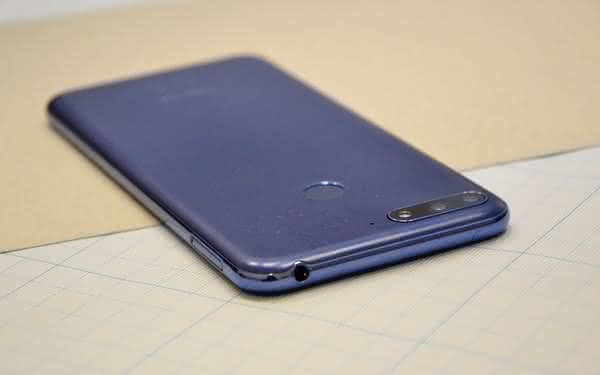 Inside, the Honor 7C has an eight-core Snapdragon 430 processor, 3 GB of RAM and 32 GB of internal memory. There is a slot for microSD cards, and it is not a hybrid one – you do not need to choose between the memory expansion and the second SIM card. 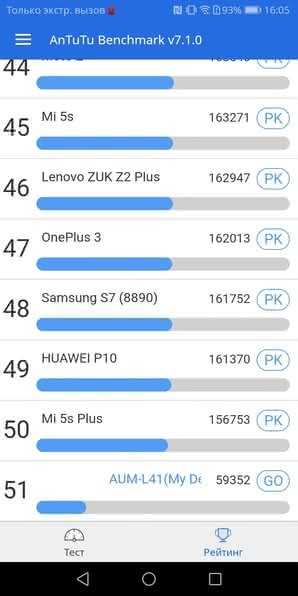 In AnTuTu, a smartphone is gaining about 60,000 points, which is a decent result for a low-end device. In everyday use, the smartphone, of course, does not fly, but it also does not “slip” on simple tasks. If only the case does not concern heavy software, let alone games, such applications are not easy. First of all, we are talking about long loading and delayed response. However, do not forget what class this model belongs to. 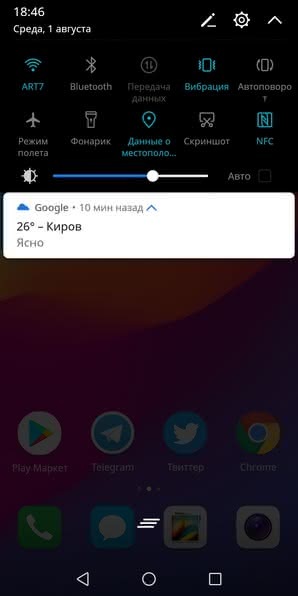 Honor 7C works on Android 8.0 Oreo with EMUI 8.0 shell on top. There is no default application menu, so icons of all installed games and programs are placed on desktops. 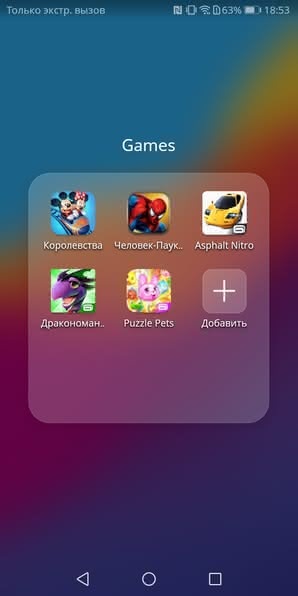 A set of pre-installed software includes a lot of partner applications that you immediately want to remove, freeing up memory. Fortunately, this can be done without “dancing with a tambourine.” First of all, it concerns games from Gameloft, of which there are five. The corporate interface here is no different from that on other devices of the company. It cannot boast of a special affinity with the “Google” style of Material Design, but, as has been repeatedly noted in other reviews, you can fix this with the help of third-party themes from the app store (example below). This shell has all the modern features and necessary capabilities. 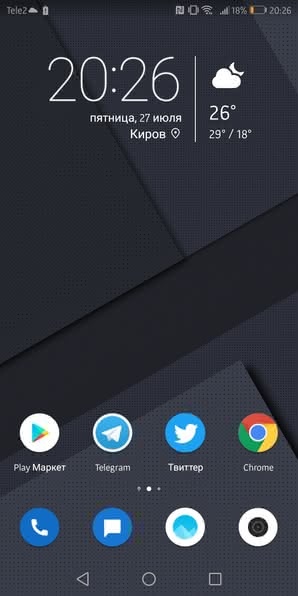 There are even so-called shortcuts that allow the application icons to be clicked on to open a list of quick actions. A traditional set of navigation bars is also present. In addition, you can configure the touch button on the back, which hides the fingerprint scanner. With it, you can take photos, answer calls, turn off the alarm, open the notification panel and scroll through the photos. All this does not require registration of a fingerprint, which is very convenient. 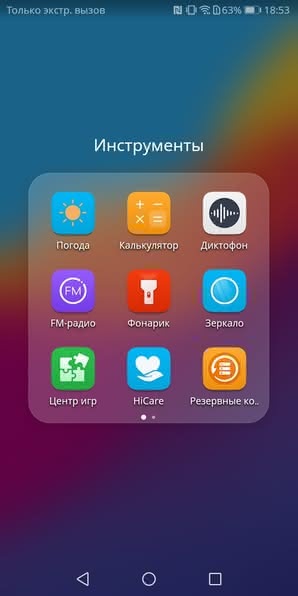 All this is configured in the security and privacy settings, in the same place you can activate the unlocking of the device by face recognition. The function does not work immediately, quite regularly. Self-identification occurs only after pressing the power key. That is, when the display is off, the front camera “sleeps”. 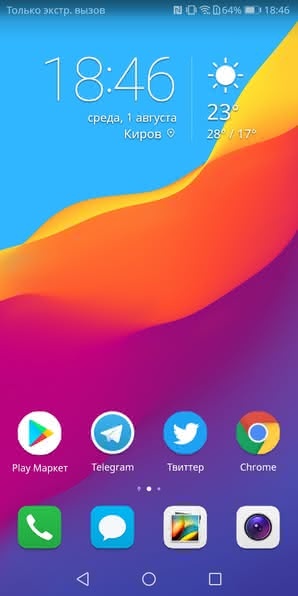 EMUI is a simple and convenient shell that is not perceived as something overloaded and confused with “multi-story” functions. The only thing for which you can not love it, so it is for the visual style, which is long overdue to refresh. The main 13 ‑ megapixel camera of the smartphone is supplemented with a 2 ‑ megapixel sensor to measure the depth of field or, to put it differently, background “blurring”. 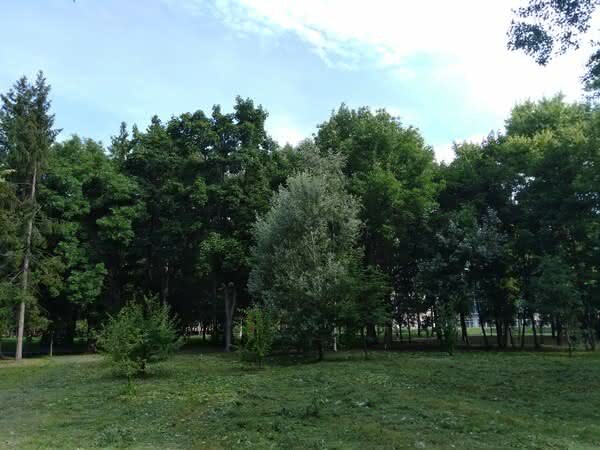 During the day, the pictures are of quite decent quality, especially when adjusted for the class of the device and its price. You can take a photo with blur in the sun, but choosing the right angle and distance to the subject is not an easy task. In the same room, the contours of the main object are almost always fuzzy. The reduction in the level of detail with a lack of light turned out to be quite expected. This applies to shoot both outdoors and indoors. Also, the camera is difficult to give scenes with high dynamic range. The front camera at 8 megapixels made an even more pleasant impression. It has a fairly wide viewing angle and is complemented by an unusual soft flash, allowing you to take selfies even with a lack of light. A battery of 3,000 mAh with an average intensity of use of the device allows you to stretch without recharging from morning to early evening. On average, it goes 4 hours of the screen. This is quite a standard figure for smartphones with this battery. As for the durability of such a battery, the manufacturer promises to save up to 80% of the capacity after 800 full cycles of discharge and charging. If this is the case, then even after two years of using the device, you are unlikely to experience the degradation of the battery. For many mothers of users, this is a very important point. There is no stereo sound in the smartphone, music is played only through the lower speaker. All the “improvers” and surround sound announced on the site are software effects. In this regard, it is possible to praise only for a large supply of volume and minimal distortion at the “maximum speed”. Also, it should be noted that there is an NFC chip in the smartphone, which allows using the Android Pay service. Everything works quickly and without any complaints, which can be safely written down among the advantages of the device. 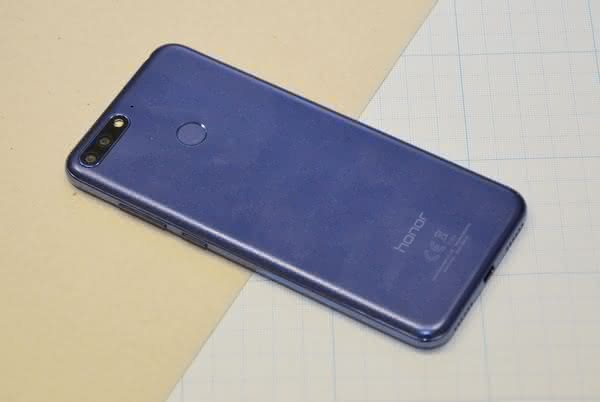 Considering the Honor 7C for purchase costs from the point of comparison with Honor 9 Lite, which now costs 3,000 rubles more – 13,990. 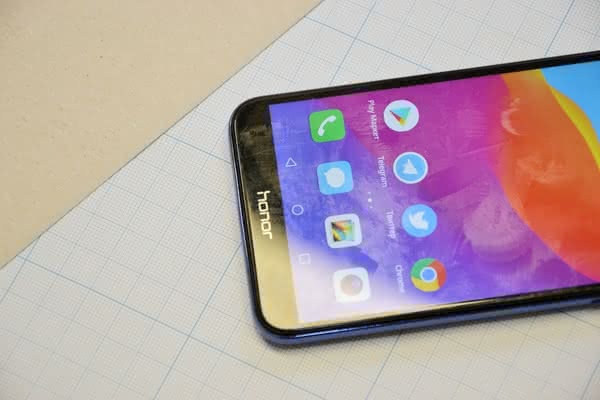 For the money, it offers a double selfie-camera, a slightly more powerful processor and, most importantly, a much better screen with a resolution of 2160×1080 pixels and an oleophobic layer. If such a surcharge does not suit you, then Honor 7C is also a worthy candidate. The only thing you have to put up with is an expressionless display. 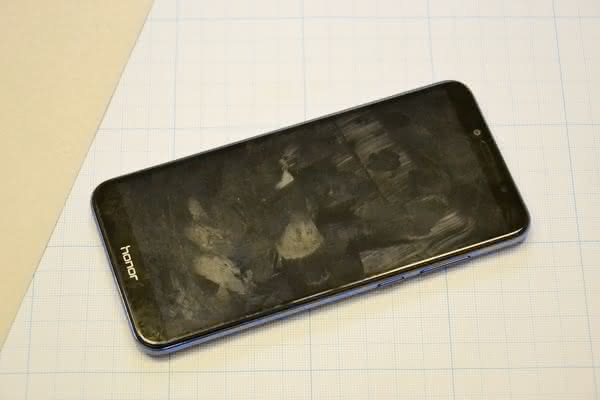 Another point is excessive marcotting due to the absence of an oleophobic coating. However, for devices in this price segment is not uncommon.